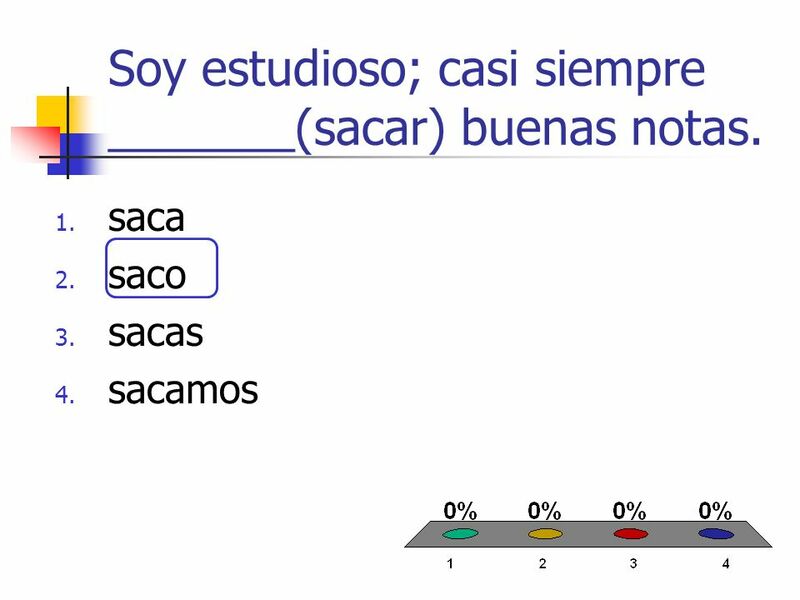 Unit 2 Lesson 1 ¡Somos estudiantes! 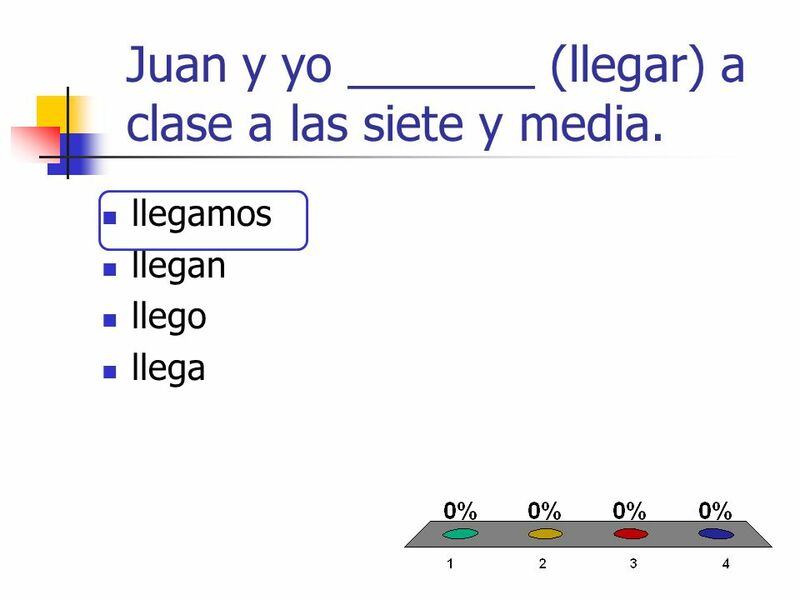 -ar Verbs Present Tense Check Get your clicker!! 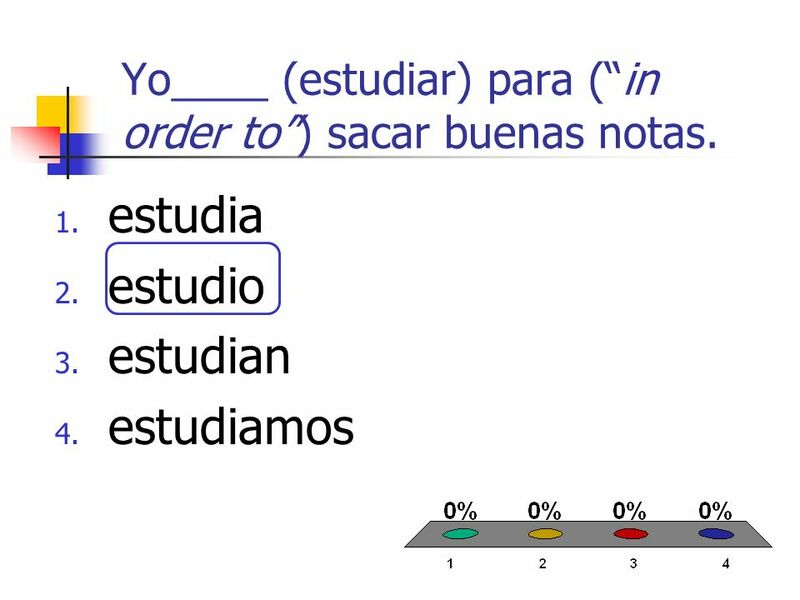 1 Unit 2 Lesson 1 ¡Somos estudiantes! 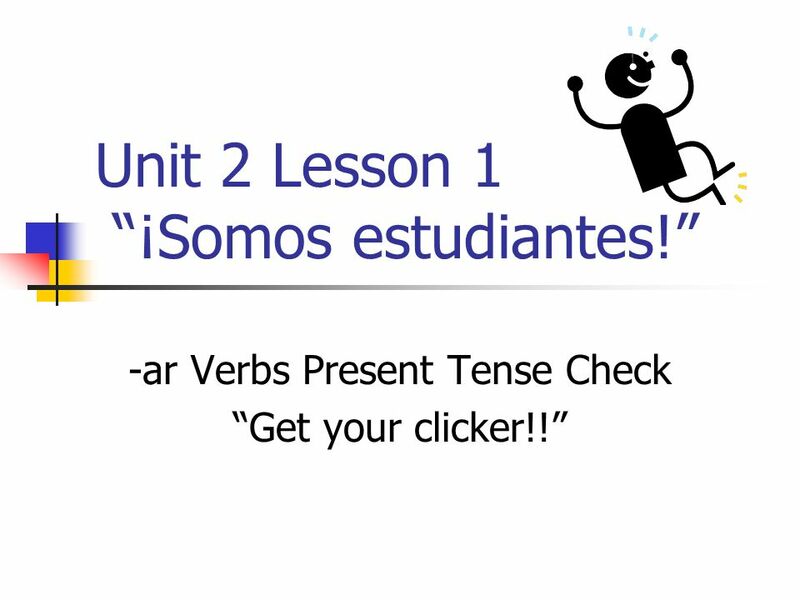 -ar Verbs Present Tense Check Get your clicker!! 12 How did you do? 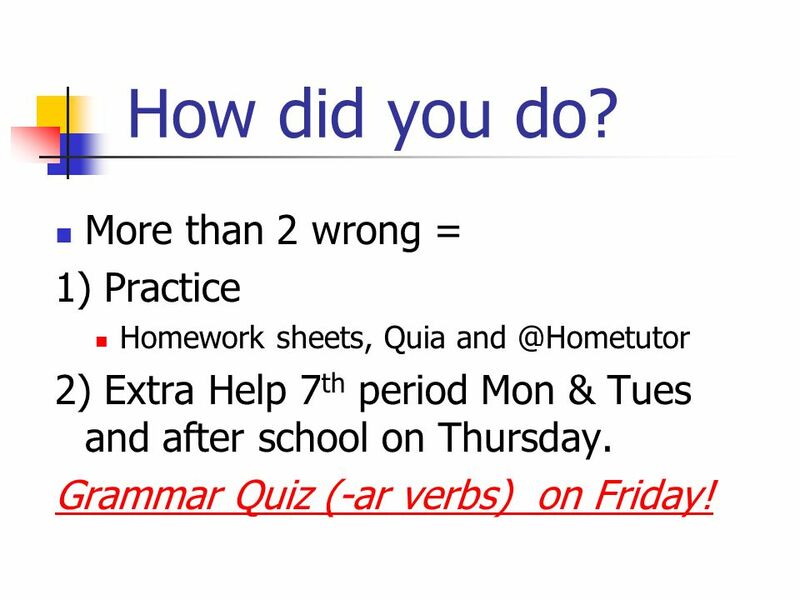 More than 2 wrong = 1) Practice Homework sheets, Quia and @Hometutor 2) Extra Help 7 th period Mon & Tues and after school on Thursday. Grammar Quiz (-ar verbs) on Friday! 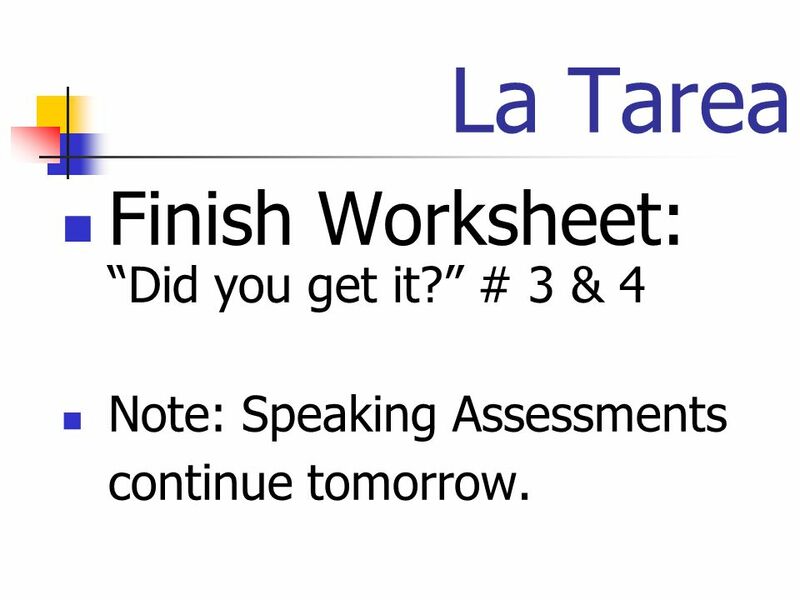 13 La Tarea Finish Worksheet: Did you get it? # 3 & 4 Note: Speaking Assessments continue tomorrow. 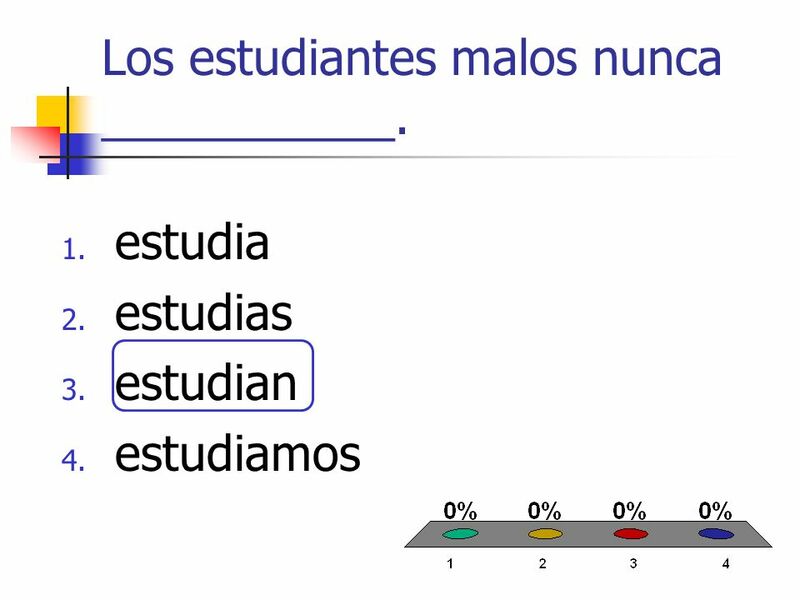 Descargar ppt "Unit 2 Lesson 1 ¡Somos estudiantes! 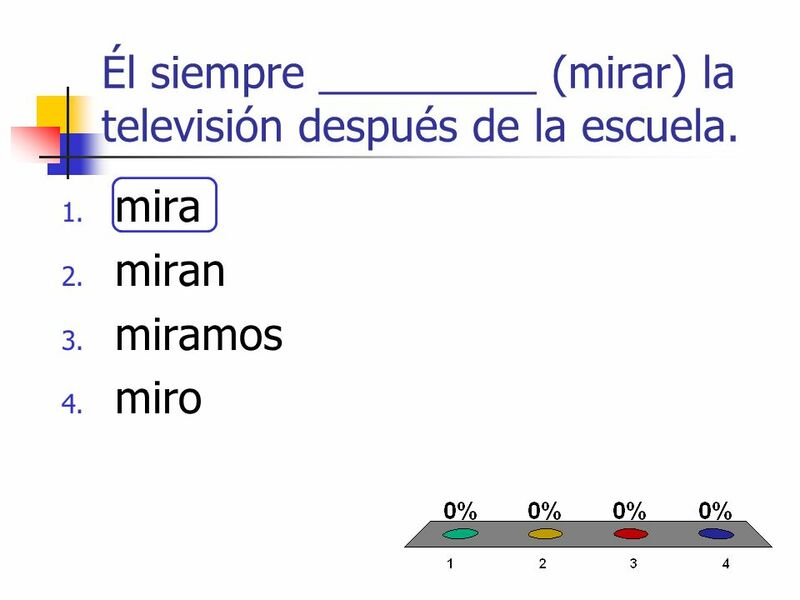 -ar Verbs Present Tense Check Get your clicker!!" Unidad 2 Etapa 1 Examencito. Enfoque: miércoles, el 2 de diciembre, Get clicker 2. Overhead: Write an appropriate question for each statement. 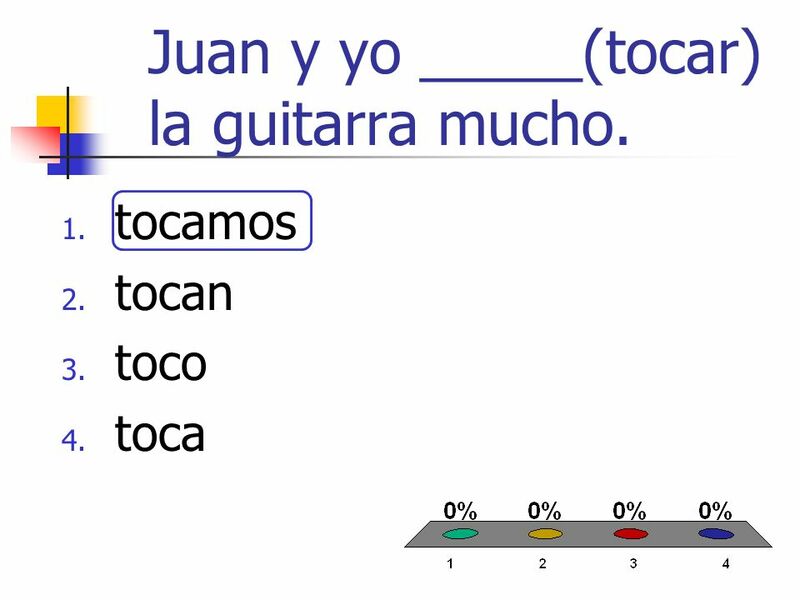 Write the number in Spanish Write the numeral. 6. doce 7. nueve 8. dieciséis 9. siete 10. cero Warm Up, el jueves, el 6 de. Do Nows septiembre/octubre el 17 de septiembre ¿Cómo es tu madre? 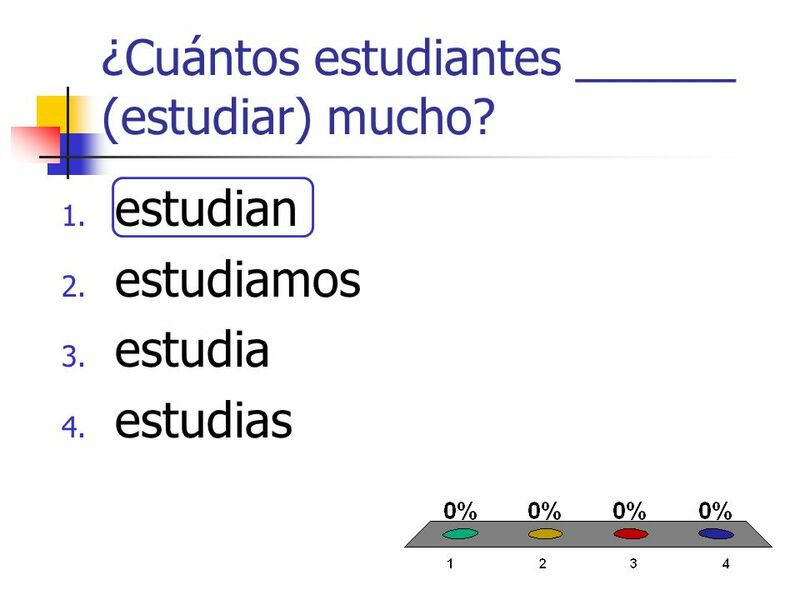 ¿Cómo eres tú? ¿De dónde eres tú? ¿De dónde son tus abuelos? Hoy es lunes. La fecha es el 10 de febrero LA PREGUNTA: Lean el “Fondo Cultural” en la página 98. Where was Sor Juana Inés de la Cruz born? What kinds. 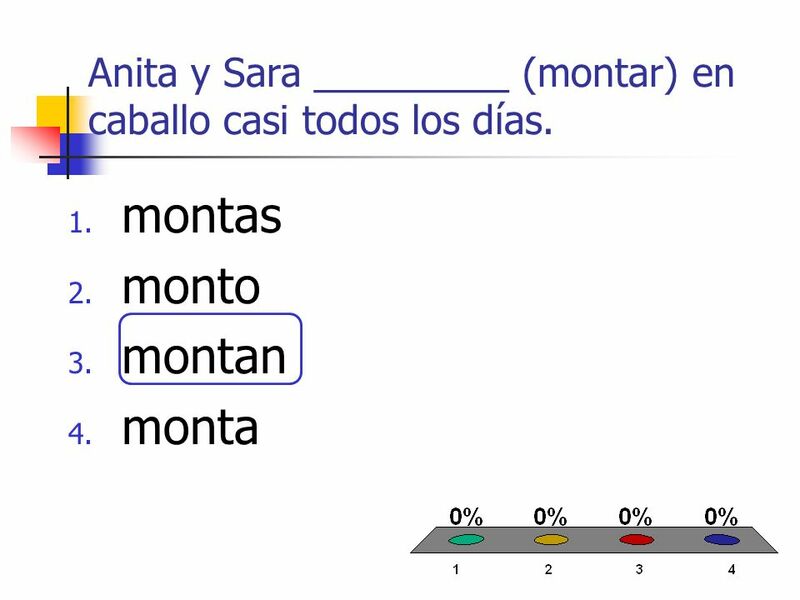 Primeros Pasos (check homework) Use pg 25 (or your brain!) 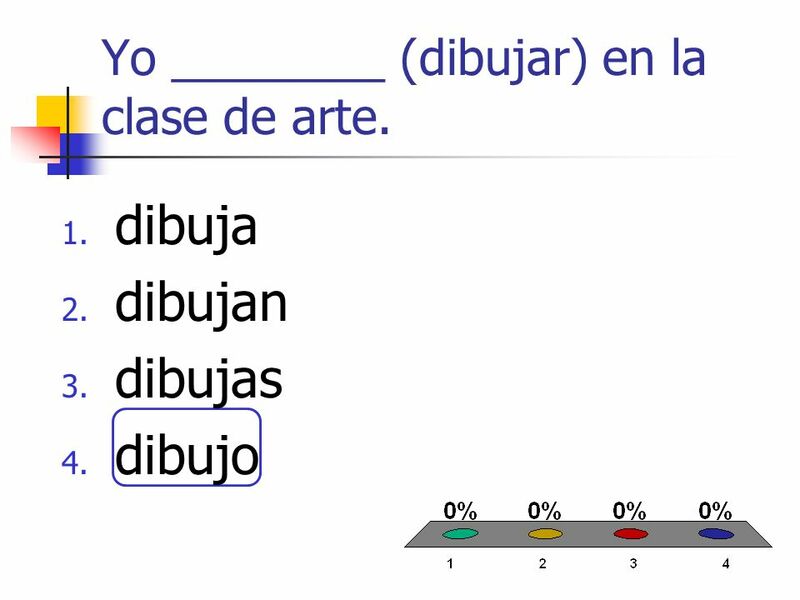 in the textbook under your chair to translate the questions: ¿Qué tal? ¿Cómo estás? ¿Quién es? Pg. 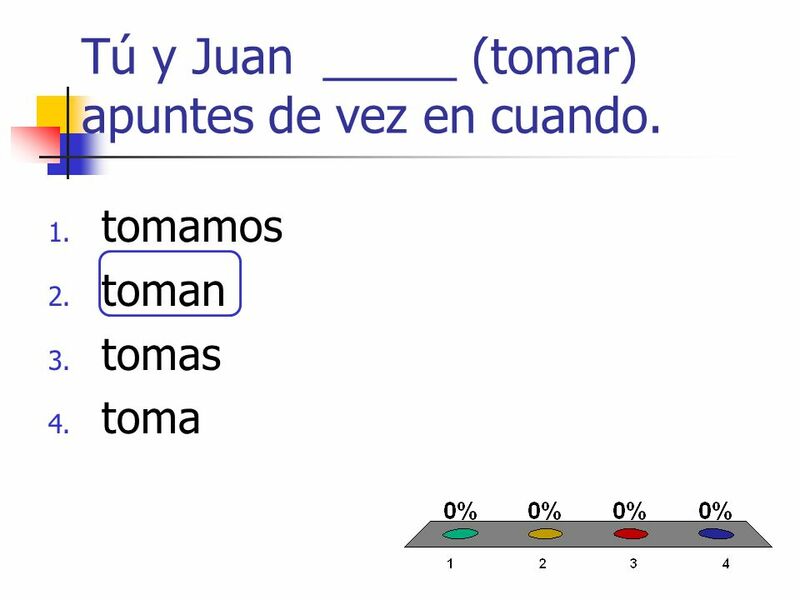 129 – Negations Words Ways of making sentences negative in Spanish. Spanish 2 Week 6 Sra. Knutsen. Entrada – Hoy es lunes, el 7 de octubre Traduce: 1. LHS is far from Portland. 2. It’s 5:25am. 3. We are going to study. -AR Verbs Can I get a verb? Can I get an VERB? Ya know…an action word! ¡A What?! Preterite Tense of –er/-ir Verbs. The preterite tense (or simple past) of –er and -ir verbs uses a different set of endings than the present tense of.